MONDAY TASTING - Biodynamic Wines! 11am-6pm! Join us to taste some of our favorite biodynamic wines! $15 for wine and $5 for snacks, all day Monday December 24th. Visit us during our special holiday hours below. Dried flowers, aromatic herbs; apricot, balsamic and honey Lively, elegant and complex. Organic, biodynamic, sustainable and vegan. Mild notes of roasted tomato and spice, brown butter, pumpkin and sage! Balanced and well-rounded with clean acidity. Organic, biodynamic, sustainable and vegan. Plum and black cherry, green herbs and spice with a long finish. Dark fruit and grippy tannins. Organic, biodynamic, sustainable and vegan. 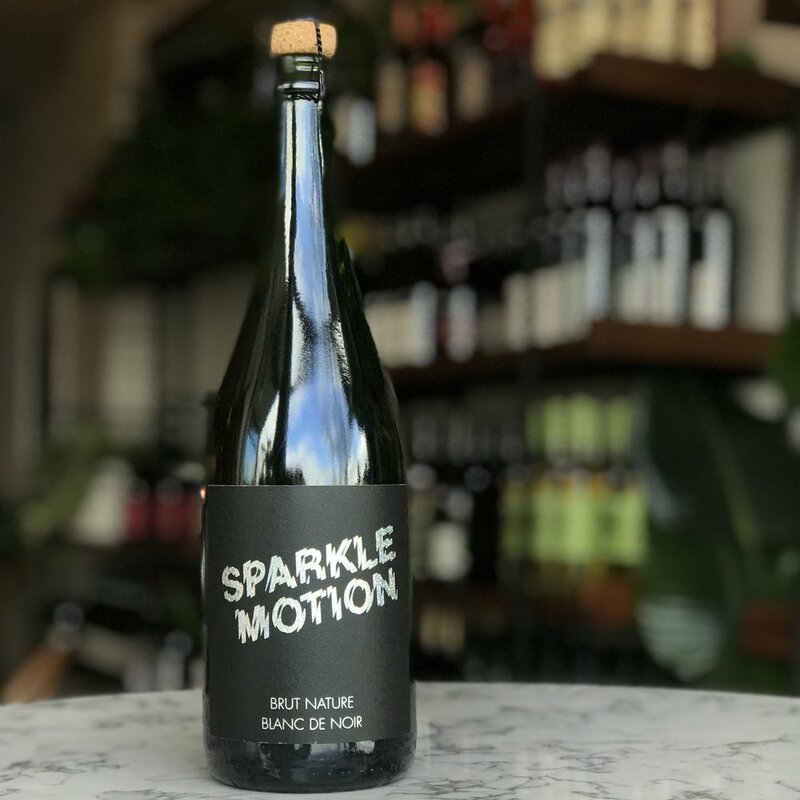 Free tasting with bottle purchase! Biodynamics is an ecological and ethical approach to farming which works in rhythm with nature. 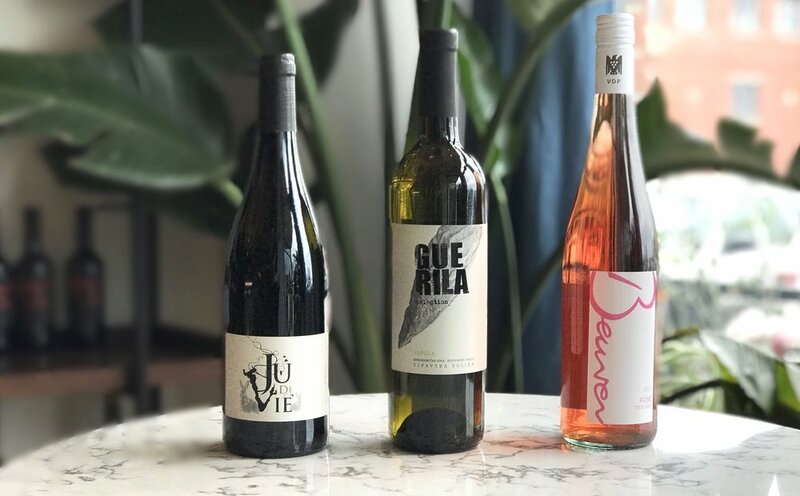 A biodynamic vineyard is a self-sustaining ecosystem; a living organism that brings plants and animals together in a fertile and biologically diverse environment, resulting in products with excellent nutrition and flavor. In addition to following all the principles of organic farming, biodynamic farms and vineyards go several steps further. 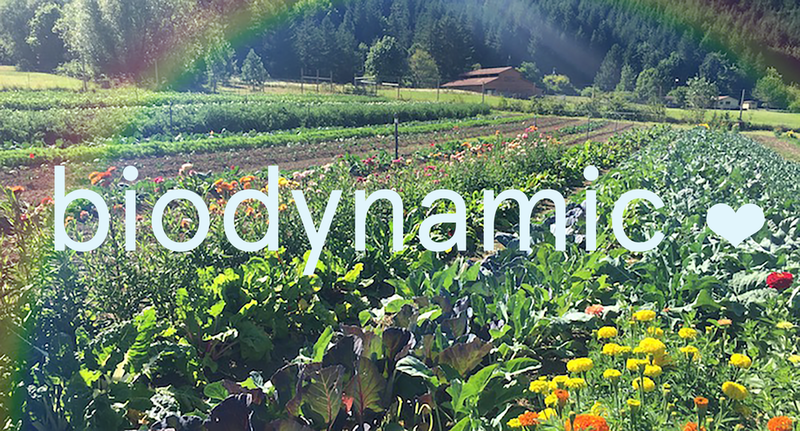 Biodynamics is a responsible and sustainable method of farming and winemaking which builds stronger communities, contributes to social and economic health, and offers regenerative solutions for our planet. To find biodynamic wines, look for the Demeter certification on the label. Join us December 24th to taste some of our favorite Biodynamic wines. Christmas Eve: Open 11am-6pm / Wine Flight all day! Part two of our Biodynamic Wine Series. 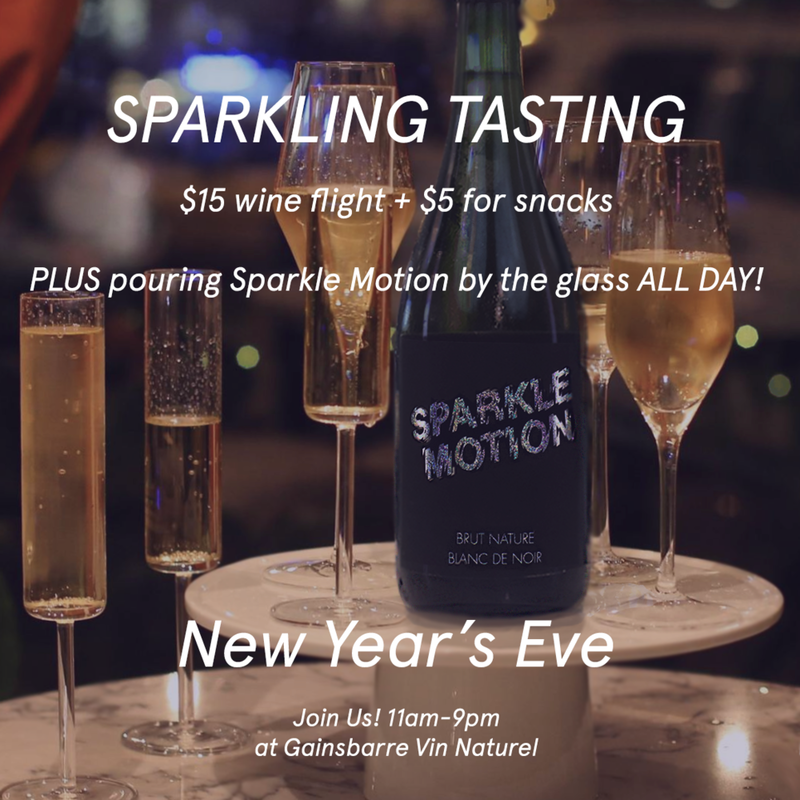 New Year‘s Eve: Open 11am-9pm / Sparkling Wine Flight all day! Monday Tasting - Biodynamic Wines! Part One! Wine Flight! 4 - 8pm Monday December 17th. $15 for wine and $5 for snacks. Come taste some of our favorite Biodynamic Wines! Aromatic! Floral and spicy. Juicy, lively, rich, ripe and thirst quenching. Vibrant minerality and crisp acidity. Certified biodynamic, organic, sustainable and vegan. Pet-Nat cider, made from pears! Notes of lemonade, mineral and tropical blossom all at once. Certified biodynamic, organic, sustainable and vegan. Drink it from a wine glass! Figs, juniper, ancho chile, and musk; deep, strong, woodsy, and juicy. Balanced, smooth and dry. Certified biodynamic, organic, sustainable and vegan. Part Two of this tasting follows on Monday December 24th and will include three more of our favorites! Join us December 17th and 24th to taste some of our favorite Biodynamic wines.